Virginia Akita Rescue View other Akitas for adoption. 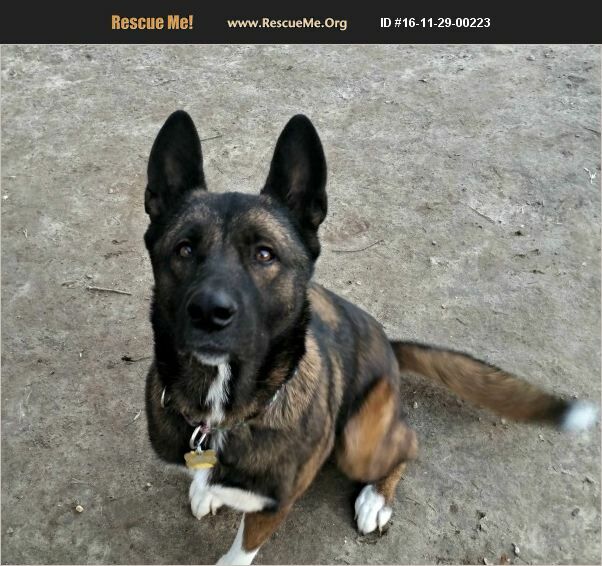 Kuma is an approximately 3 year old female Akita mix. She is up to date on all of her shots, microchipped, heartworm negative and is spayed. She has a lot of energy to burn and would benefit from a very active home that can both physically and mentally exercise her. She is very smart and picks things up quickly. She knew a few commands when she arrived; sit, down, stay, shake, other paw and high five. Kuma is a very vocal girl; she will talk to you, she howl at the sirens, talks back to you and generally just loves the sound of her voice while she is awake. :) I suspect there is some German Shepherd in her somewhere, she is an excellent protector of the home and yard and will let anyone know when she sees or hears something that may be amiss. She is ball driven and will bring the ball back to you most of the time. Kuma has perfect manners in the house, is crate trained but does not need the crate. When I have left her loose, she was found either on a dog bed or laying in her crate with its door open. Not a single thing touched that she shouldn't mess with. To adopt Kuma, I will need a personal and vet reference, there will be a home visit during the meet/greet with her and her potential family and also a contract. She loves being with her people and can be quite affectionate when she wants to be. A home with very young kids or small animals would not be ideal for her, older kids and where she would be the only pet would be her best placement.